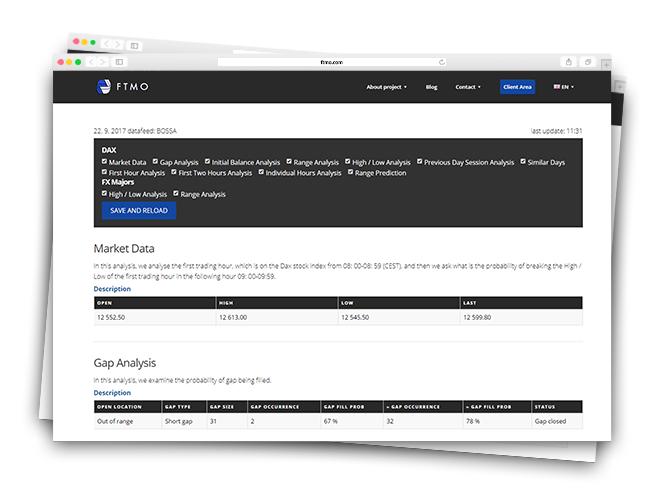 Use the market statistics and move your trading to a whole new level. The Statistical Application will show you meaningful and number-based probabilities of market behavior that you can use to your advantage. Trade smarter and increase your profitability instantly. For example, if the market trades a bit below the High of a previous session, and you know that in the past under the same circumstances, the market has broken the High of the previous session in 92%, so either you will not be trading short or you will go long to speculate on the High being broken. What market statistics can you use?